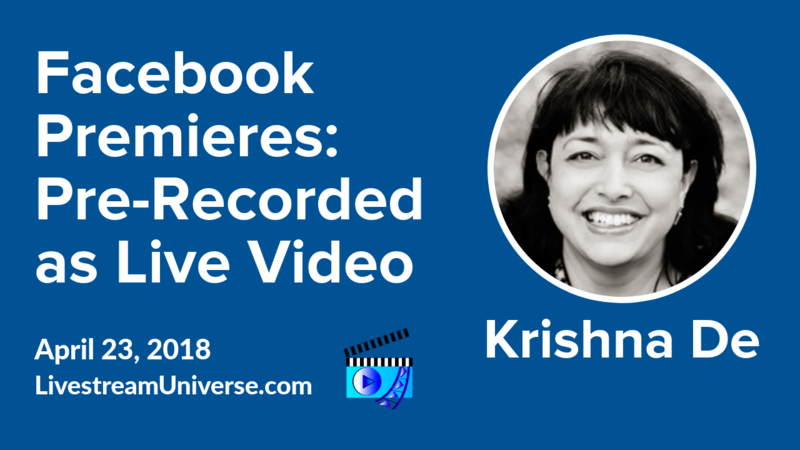 Tag Archives for " Be.Live "
Ross Brand with your Livestream Universe Update and Flash Briefing for Thursday, April 26th, 2018. As livestreamers, we often think the content process is over once the blog post is written and any repurposing is complete. Yet a few simple updates can often breathe new life into past material. On yesterday’s Classroom Without Walls, Express Writers’ CEO Julia McCoy discussed the value of content maintenance. How do you know when old posts need updating? You can watch Julia’s entire interview with Ai Addyson-Zhang on Ai’s Facebook page. At 3pm ET, it’s Live Positive with Jeff Adams on the BeLive TV Facebook page. His guest is Kerry Decker of Sideways Relationships, helping people improve their marriages. 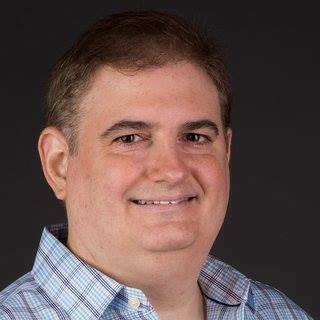 Ross Brand with your Livestream Universe Update and Flash Briefing for Wednesday, April 25th, 2018. At 3pm ET today, it’s Camera Confidence Live with Molly Mahoney on the BeLive TV Facebook page. Molly shares a strategy that will help you bring in an extra $5,000 in sales in 2 weeks time. At 5pm ET, Express Writers CEO Julia McCoy joins Ai Addyson-Zhang to talk about Creating Content that Drives Profit and Conversion. Watch the Classroom with Walls on the Ai Addyson-Zhang Facebook page. Ross Brand with your Livestream Universe Update and Flash Briefing for Tuesday, April 24th, 2018. 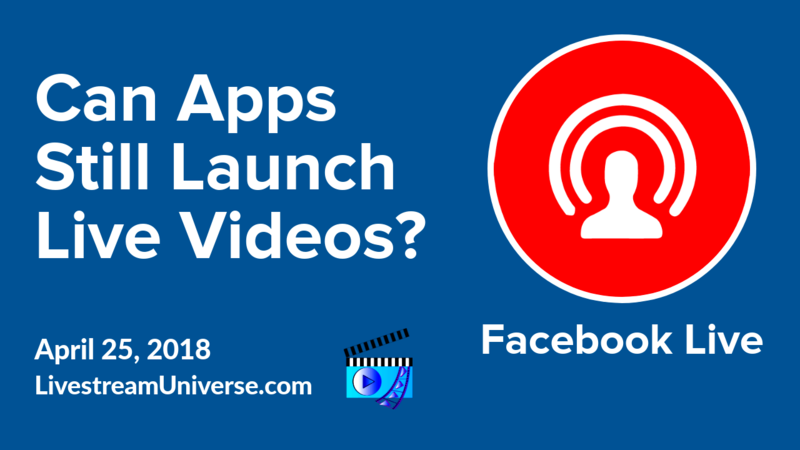 If you’re a live streamer who primarily uses Facebook, Instagram or YouTube to go live, what role does Twitter play in your social media activities? 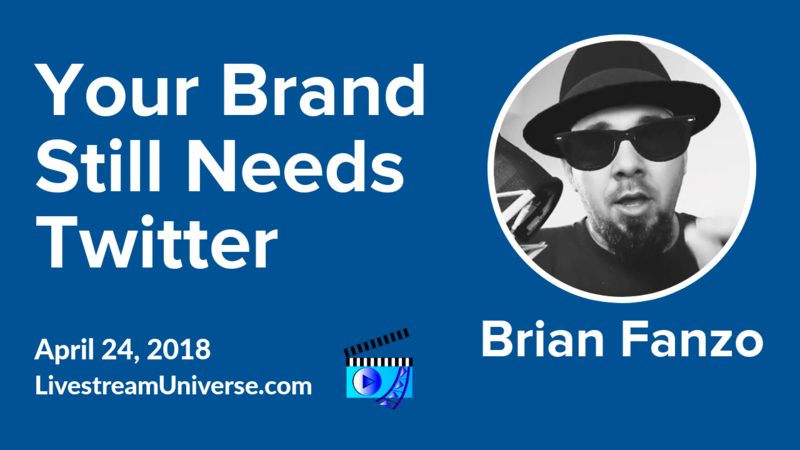 While some people are spending less time on the platform and others primarily automating their involvement, Brian Fanzo says the real-time conversations on Twitter shouldn’t be overlooked by entrepreneurs and brands. Twitter also helps you reach people outside your network. You can hear Brian’s entire discussion of Twitter on iTunes as Episode 71 of the #FOMOFanz podcast. The Twitter theme continues tonight as Madalyn joins us for Best of BeLive with Ross and Rachel. We go LIVE on the BeLive.tv Facebook Page at 8pm ET. Before that, Rachel Moore joins Todd.Live to talk about challenges with live video in 2018. The show is called Entrepreneur Live Video and it’s at 3pm ET. on Facebook Live on the Todd.Live Facebook page as well as on YouTube and Periscope/Twitter.